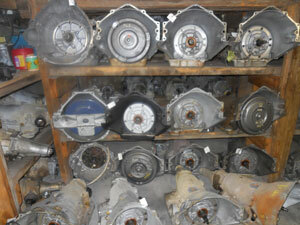 The transmission of any vehicle is the component that allows the power from the engine to actually move the vehicle. Automatic transmissions (those that do not require a clutch pedal to be depressed) and standard transmissions (those that require a clutch pedal) use different ratios to fit the engine size and vehicle type. These ratios are referred to as the number of “speeds” that a transmission has. Most cars on the road now have 4 or 5 forward speeds with 1 reverse speed, a park and neutral. Rebuilts Automatic transmissions at Hutto's TransmissionWhile the number of speeds may be the same, different manufacturers engineer different transmissions to perform the same job. They all use fluid to lubricate the internal parts, and automatic transmissions also use this fluid to move internal valves and pistons to apply individual clutch packs to activate the different speeds. The latest style of transmission introduced is the Constant Variable Transmission (CVT). This transmission does not have a set gear ratio and the driver never feels the “shift” known to an automatic transmission. What happens to my transmission when it is rebuilt? Removal of the transmission by capable hands at Hutto's Transmission.The first step in the rebuild process is to remove the transmission from the vehicle. This can be an extensive process especially for front wheel drive vehicles in which portions of the frame must be removed. 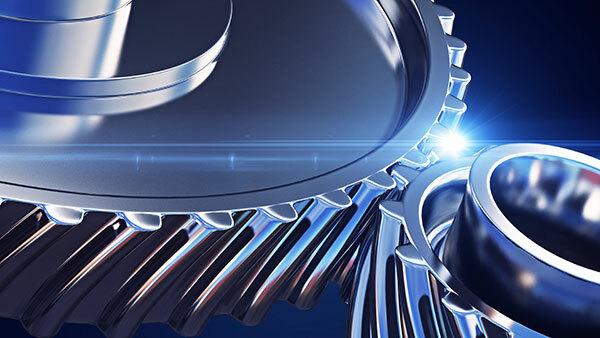 With the many electrical connectors on modern transmissions, special care must be taken here to not jeopardize any of the wiring or connectors. Tearing down the transmission before being rebuilt at Hutto's Transmission.The next step is to disassemble the transmission. The purpose here is to get a first look inside the transmission to determine the cause of the failure. Once the entire transmission is apart, we place it in a parts washing machine to remove all the old fluid, debris, and dirt from the internal parts and the case. 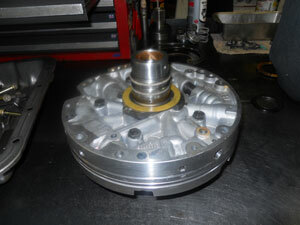 This is preparing the transmission parts to be fully inspected for final rebuild. 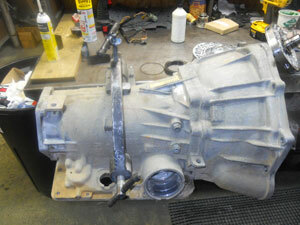 The reinstallation of the transmission into the vehicle is basically the reverse procedure of the removal. Proper installation is required for proper function. 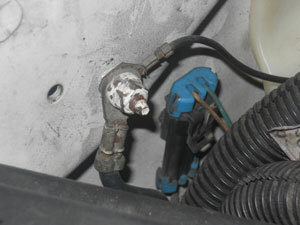 If theInstall-on-jack unit is not aligned properly with the engine, catastrophic damage can occur. Care must also be taken to ensure that all electrical connectors are fully seated and in the proper locations. Secure ground locations must also be made. GroundsA good installation will help insure that the customer will be satisfied with the drivability of the vehicle. The final step in the rebuild process is the test drive of the vehicle. Here we are looking for proper shift feel, timing,Test-Drive a repaired vehicle at Hutto's Transmission and overall drivability which includes alignment, vibration, and any other concerns with the systems on the vehicle. 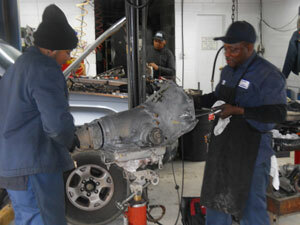 The transmission is checked for any possible leaks and the fluid level is set. The reinstallation process is also inspected to ensure that all bolts are tight and components are resting in their proper locations. The vehicle’s computer is checked for proper operation during this process and any existing codes are recorded and then cleared. 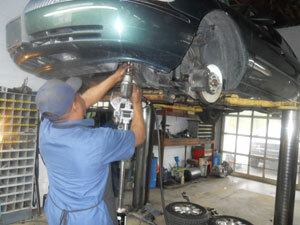 Once a vehicle has passed all inspection, it is returned to the owner. 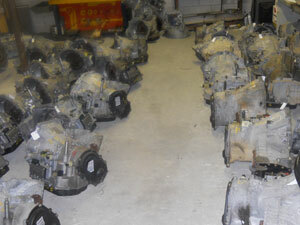 Time is given to answer any questions concerning the operation of the transmission and vehicle.